The Indian Pro Kabaddi League team, Tamil Thalaivas made their debut in the tournament and connected with their fans through the power of social media. The campaign objective was to create a social media presence for the Tamil Thalaivas by growing their follower base, engage with their audience and generate a tremendous amount of buzz with their local fans, all under the hashtag, #NammaMannuNammaGame (OurLandOurGame). Tamil Thalaivas executed their social media strategy around the hashtag #NammaMannuNammaGame (OurLandOurGame) and positioning the campaign around creating a strong sense of association with the local team. The execution was done keeping in the mind the flavour and fervour of the locals and their interest in the game. Kabaddi happens to be the state sport of Tamil Nadu, and this helped the Tamil Thalaivas team leverage the popularity of the sport and come up with engaging activities that could help create a high recall for the game. The activity was focused around helping the audience know and interact with the players, creating a personal association between the audience and players. Tamil Thalaivas also capitalized on the popularity of their team captain, Ajay Thakur with content that highlighted his performances. 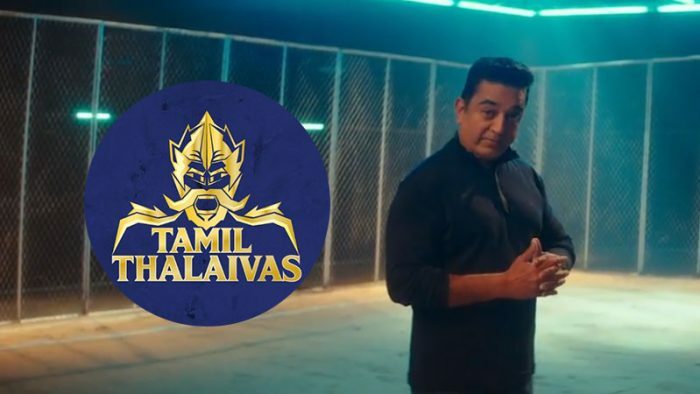 Tamil Thalaivas popularity was also boosted by the association with co-owner, Sachin Tendulkar and brand ambassador, local and national celebrity, Kamal Haasan. TVCs featuring Kamal Haasan were also posted on social media, and received a rousing response. The campaign designated the entire fan base and united them under the hashtag, #TamilVeerans, creating a sense of unity among them. After the conclusion of the Pro Kabaddi League, some off season activities were planned and executed in order to maintain the association with fans. The brand shared ‘Best Moments’ and other engaging video content to reap the benefits of the engagement during Pro Kabaddi League. During the entirety of the Pro Kabaddi League tournament, #TamilThalaivas trended thrice on Twitter, and the team won 15 out of the total 17 Twitter battles that were regularly held to mobilize the fanbases of every team. The brand boasts of more than 275.5K followers on Facebook; more than 23.7K followers on Twitter and 8226 Subscribers on YouTube which helped them register more than 1.8M Views. On Facebook, total views of more than 5.1M have been observed collectively, with a Page engagement rate of 4% and a growth in followers peaking at 2%. On Instagram, Tamil Thalaivas have garnered a follower base of more than 24K at an average growth rate of 3.5% and an average engagement rate of 8.5%. Being one of the newest teams to join the Pro Kabaddi League during Season Five, Tamil Thalaivas generated buzz, and secured the loyalty and support of their fan base through social media activity.